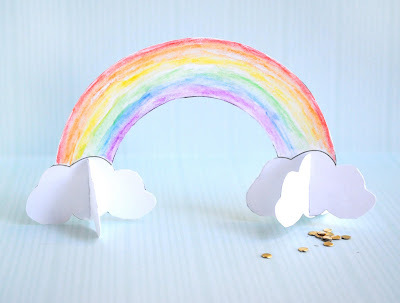 My girls will absolutely love these paper rainbows from Zakka Life. You print them out, decorate them, and then set them up as decorations. They will make a great centerpiece for St. Patrick's Day. You can get your printable paper rainbow craft over at Zakka Life.